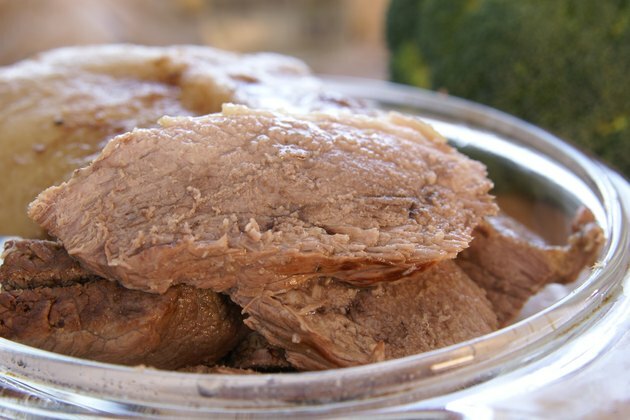 A bottom round roast is a thick cut of beef best roasted to yield tender and moist meat. The roast is also rich in protein, iron and niacin. This cut of meat comes from the hip area of the cow and is often marbled, making it an excellent choice for roasting, because it lends a rich flavor to the roast. The trick is to cook the bottom round roast long enough to allow the meat to tenderize. 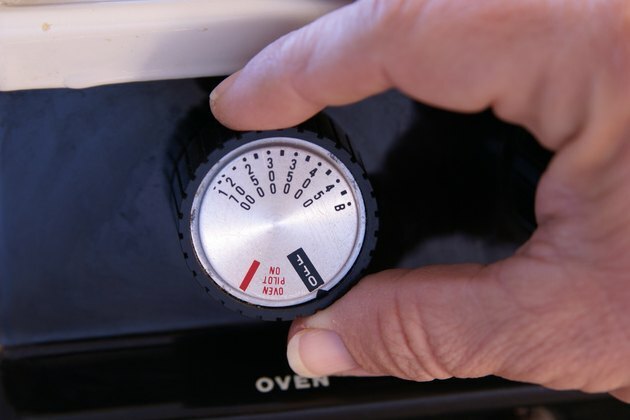 Given the 2 1/4-pound weight of your roast, expect it to take between 45 minutes and an hour to be fully cooked. Preheat your oven to 325 degrees Fahrenheit and arrange the racks so your roasting pan will fit in the top half of your oven. 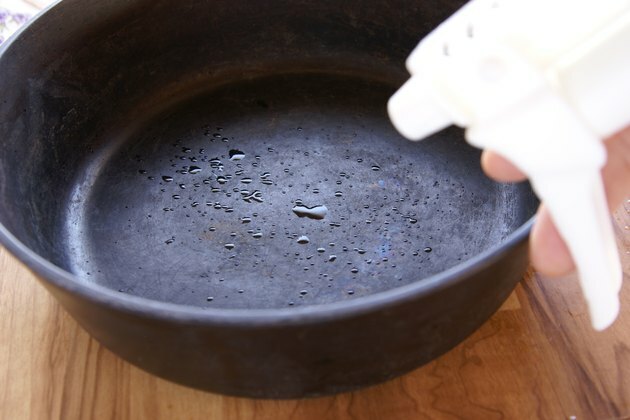 Spray a large roasting pan with nonstick cooking spray. Place the bottom round roast in the roasting pan and sprinkle it with your choice of dried herbs and spices. Place the uncovered in your oven and cook for about an hour, or until the internal temperature reaches 135 degrees Fahrenheit. 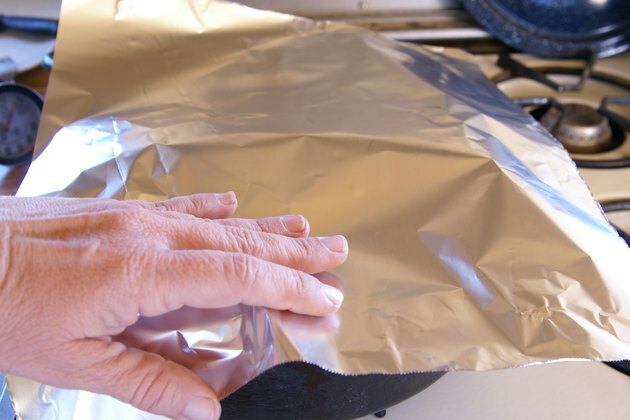 Remove the roast from the oven and cover it loosely with aluminum foil. Let the roast rest for 15 minutes or until the internal temperature rises to 145 degrees Fahrenheit. 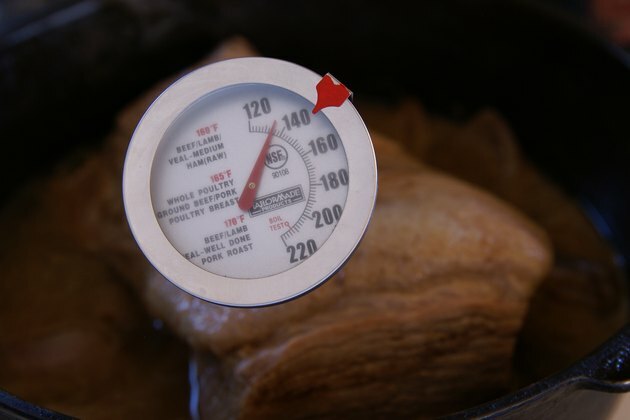 If you would prefer a more well done piece of meat, cook the roast until the internal temperature reaches 160 degrees. Place halved fingerling potatoes and carrot chunks into the roasting pan with the meat. In about the same amount of cooking time, you'll have an entire meal that supplies protein, iron, vitamin A and fiber. Chop leftover roast and combine it with low-sodium barbecue sauce to make a tasty sandwich or add it to your favorite pasta sauce to boost the protein content of your meal. If you can't find a bottom round roast at the grocery store, visit a butcher who can cut you a bottom round roast or order you one. 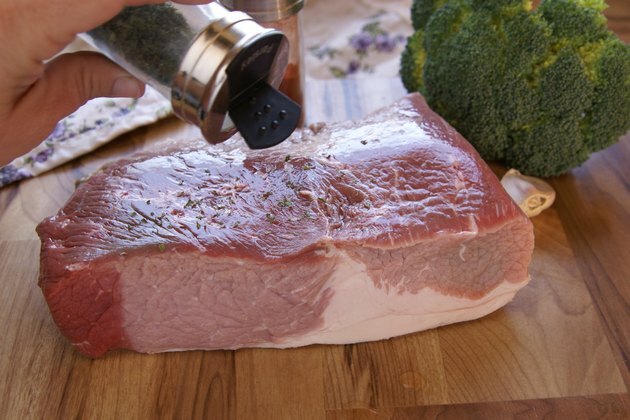 Slice the cooked roast and serve it with nutritious side dishes such as steamed broccoli or roasted asparagus. Don't overcook your bottom round roast because it will cause the meat to get dried out and tough to chew.